Ladies, I have some great news for you: In the sixth installment of the Predator movie franchise, we will finally get what we’ve been asking for for so many years. That’s right, a female Predator. Will she be an in-control-of-her-sexuality-and-her-life Predator, a la Carrie Bradshaw? Will she be a take-charge executive Predator, pantsuit and all? Either way, I am #HereForIt. 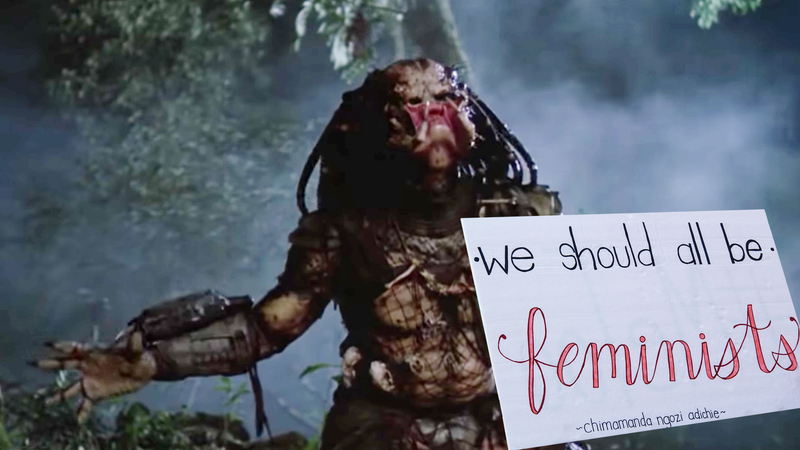 Since the first Predator movie premiered in 1987, feminists have wondered when they’ll finally receive on-screen representation to prove that men aren’t the only ones capable of being technologically advanced extraterrestrials who stalk and brutally murder victims during Earth’s most scorching heatwaves. As Comic Book Resources noted, Predator “novelizations and comics have explored gender dynamics between the alien big game hunters before,” but never before have we seen a girl Predator on the big screen. While Hillary Clinton didn’t end up breaking the glass ceiling and becoming the first woman president, a female Predator is the next best thing. No longer will we assume the Predator society is patriarchal like our own world. In these trying times, young girls look to the big screen for positive female role models. And who better to teach the youth they can do anything they set their minds to than a murderous lady-alien who will stop at nothing to end the life of the human being she is hunting for sport? “Whatever women do they must do twice as well as men to be thought half as good,” a feminist once posited. Does this mean the girl Predator will have to kill twice as much for half the credit? We’ll just have to wait and see.